This tool from the 123 Teach Me website offers users to create a set of sentences based on words entered by the user. Click here to try it. "The Ohio State University National East Asian Languages Resource Center (NEALRC) was founded in 1993 as the National Foreign Language Resource Center. Since 1993, the NEALRC has contributed many initiatives designed to increase learners' abilities to master advanced levels of language and cultural competence. 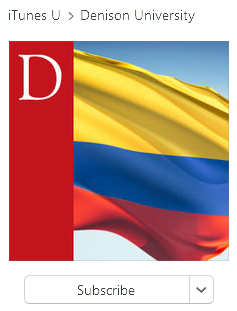 Among the many resources generated and made available through the NEALRC are learning materials (textbooks, workbooks, teachers' guides, audio and video recordings) for more than a dozen less commonly taught languages, pedagogy and program development resource and guide books, teacher training and intensive language summer institutes, and more. As of 1999, the NEALRC adopted its specific East Asian Languages focus in order to serve the needs of learners and teachers of East Asian languages as directly and immediately as possible." "Over 57 million people in the U.S. speak a language other than English at home (U.S. Census Bureau, 2006-2010). Individuals exposed to a language spoken at home but educated primarily in English are heritage speakers of the home language. The creation of a national center dedicated to heritage language education attests to the importance of this new field to the nation. California is an ideal venue for NHLRC since almost 27% of its population five years of age and older is foreign born, and 42% speak a home language other than English (U.S. Census Bureau, 2005-2009)." The National Resource Center for Asian Languages (NRCAL) was designed to improve the nation’s capacity for the teaching and learning of Asian languages including Vietnamese, Korean, Chinese, and Japanese. California State University, Fullerton (CSUF) has made a strong commitment to supporting less commonly taught languages, serving diverse student populations, expanding research on second language acquisition, and enhancing teaching and learning. NRCAL’s main focus is to improve the teaching, learning, and research of Asian languages in the United States by drawing on the expertise of Asian language scholars, educators, and community stakeholders. Training students to be bilingual not only enhances their cognition, employment opportunities, and cultural competency, but also improves national business development, innovation, and security. Our goals are achievable through collaboration with K-12 school districts and community-based organizations. "The Center for Open Educational Resources & Language Learning (COERLL) is one of 16 National Foreign Language Resource Centers (LRC's) funded by the U.S. Department of Education. 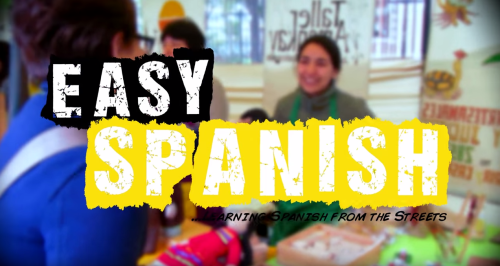 The overall mission of these federally-funded centers is to improve the teaching and learning of foreign languages by producing resources (materials and best practices) that can be profitably employed in a variety of settings. Applied linguistic research, Teaching materials, Language assessment, Teacher development, Less commonly taught languages, K-12 initiatives, Outreach and dissemination. "AELRC supports foreign language (FL) education in the US by (a) providing assessment and evaluation training and materials, (b) developing and validating high-quality assessment and evaluation instruments and procedures, and (c) fostering and sustaining a scholarship of FL assessment and evaluation among K-16 language educators. Our primary goal is to facilitate useful assessment and evaluation practices that help FL educators innovate and improve their programs, ensure accountability to students and society, and articulate and express the value of FL studies in the world today. AELRC is a Title VI Language Resource Center directed collaboratively by researchers at Georgetown University and the Center for Applied Linguistics." offering intensive institutes and workshops for language educators. CALPER received a new award from the U.S. Department of Education in October 2014 and with support from the College of the Liberal Arts will continue operation at The Pennsylvania State University." "The Center for Applied Second Language Studies (CASLS) at the University of Oregon fosters innovation in world language teaching and learning by providing research-based solutions to materials creation, program implementation, and evaluation and assessment. CASLS is one of sixteen National Foreign Language Resource Centers and home to the Oregon Chinese Flagship Program. CASLS is accredited by AdvancED. CASLS is one of sixteen Language Resource Centers across the country that create a national network of resources to promote and improve the teaching and learning of world languages. LRCs create language learning and teaching materials, offer professional development opportunities, and conduct and disseminate research on language learning." "The Center for Advanced Research on Language Acquisition at the University of Minnesota is one of several Language Resource Centers (LRC), whose role is to improve the nation's capacity to teach and learn foreign languages effectively. 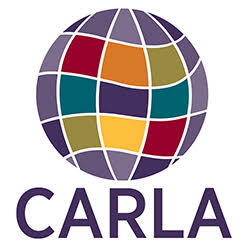 Through United States Department of Education (USDE) Title VI Language Resource Center program funding, CARLA has sponsored a number of research and action initiatives designed to advance the quality of second language teaching, learning, and assessment. extending, exchanging, and applying this knowledge in the wider society." "The Center for Educational Resources in Culture, Language and Literacy (CERCLL) is a Title VI Language Resource Center. We research culture, language and literacy within less commonly taught languages (LCTLs). We also provide educators with teaching resources and opportunities for meaningful professional development. CERCLL serves as a unique local, regional, and national resource for scholars, academic professionals, teachers and others interested in improving our nation's capacity to deliver high-quality, pedagogically-sound, and cost-effective instruction in foreign languages. The majority of CERCLL's projects focus on the teaching and learning needs of the LCTLs. In accordance with the invitational priorities, we have several projects that have been developed and are in development with UA's Center for Middle Eastern Studies (CMES) and Center for Latin American Studies (CLAS), which are Title VI National Resource Centers (NRC). We are also collaborating with many other LRCs (CARLA, CALPER, CASLS, LARC, NCLRC, NFLRC, NHLRC, and NMELRC) on several projects." "Indiana University's Center for Languages of the Central Asian Regions (CeLCAR) was founded in 2002. It is one of fourteen Title VI Foreign Language Resource Centers in the United States and the only one dedicated to the critical languages of Central Asia and surrounding countries. CeLCAR is dedicated to promoting the teaching and learning of the languages and cultures of Central Asia through the development of language learning materials (textbooks, workbooks, phrasebooks, multimedia resources, web and mobile applications, online courses), teacher training, and intensive language summer courses. The less commonly taugh languages currently being focused on at CeLCAR are Azerbaijani, Dari, Kazakh, Kyrgyz, Mongolian, Pashto, Tajiki, Tibetan, Turkmen, Uyghur, and Uzbek." 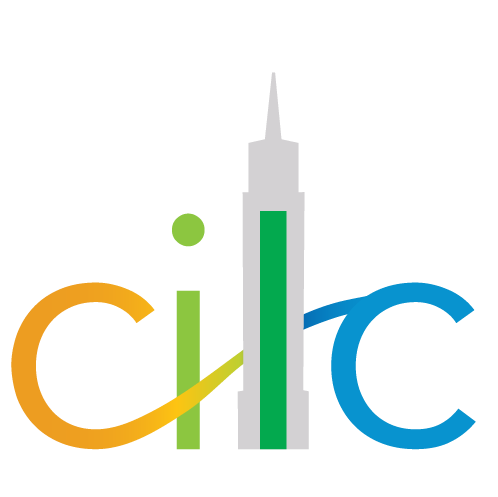 "The Center for Integrated Language Communities (CILC) focuses on language education in the community college context, on heritage language learners, and on the use of educational technology to foster intercultural connections. The research, dissemination, and materials development activities that CILC conducts serve to better integrate lingua-cultural communities of practice both small and large: from families, churches and companies to K-12 schools, colleges and governmental organizations."